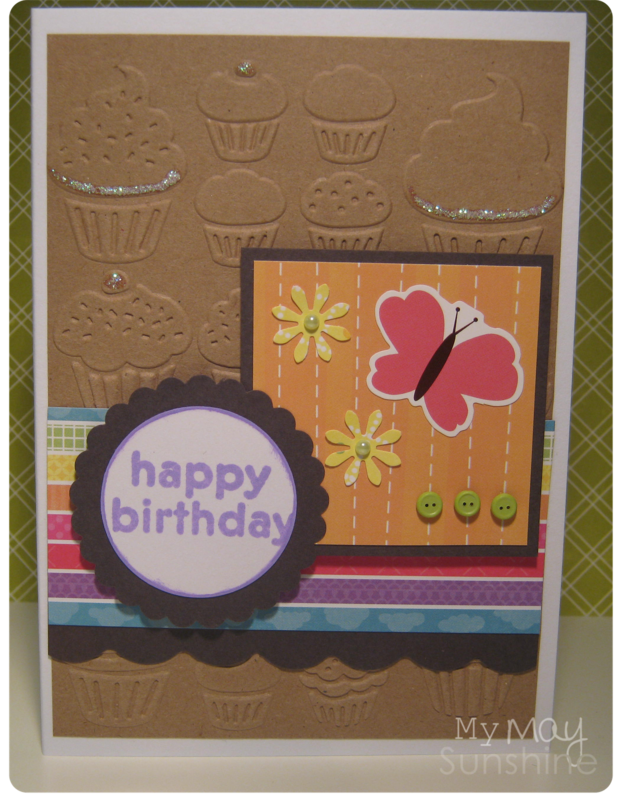 I recently bought the craft concept cupcake embossing folder and decided to use it on this card. These folders are slightly cheaper than the Cuttlebug ones but work just as well. I decided to use kraft card with the embossing folder and added some stickles to the cakes to make some of the sparkle. I used a simple butterfly sticker and some punched flowers and added some gems to embellish. Paper – Echo Park Summer Days. Stamp – American Crafts Birthday. Sticker – American Crafts Remarks Cheerful stickers. Embossing folder – Craft Concept Cupcakes. Brads, gems, flower punch – local craft shop. Next Post Loving kioshi colours.